I’m not a person who’s easily irritated, but one of my little bugs is rudeness and impolite behaviour. 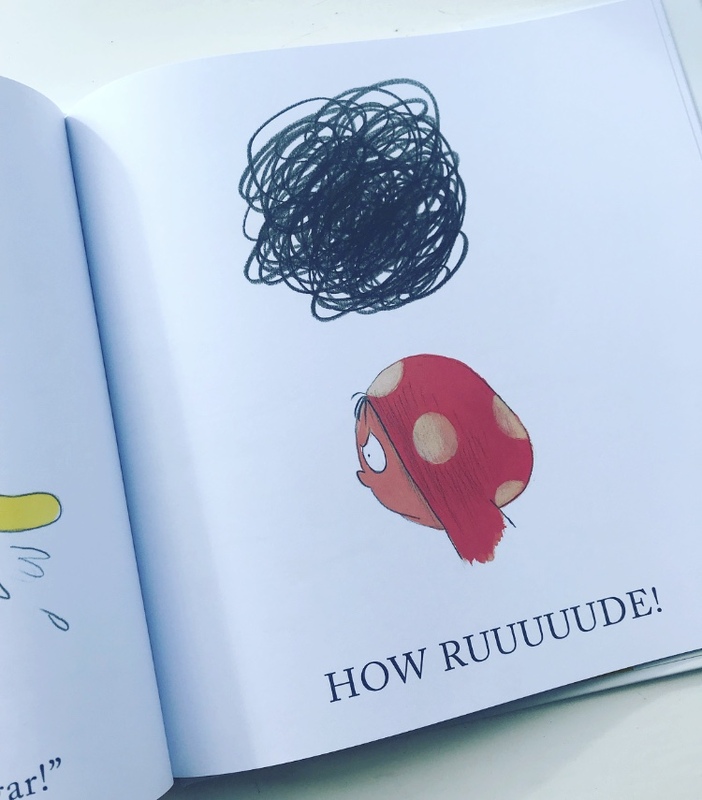 We have many lovely polite children and adults come into the library, but every now and then we get one that invokes the response “How rude!”. Sometimes it’s down to shyness and lack of confidence and sometimes it is just that a child hasn’t been taught or encouraged to say please and thank you, or be considerate of other people. It comes down to empathy too. 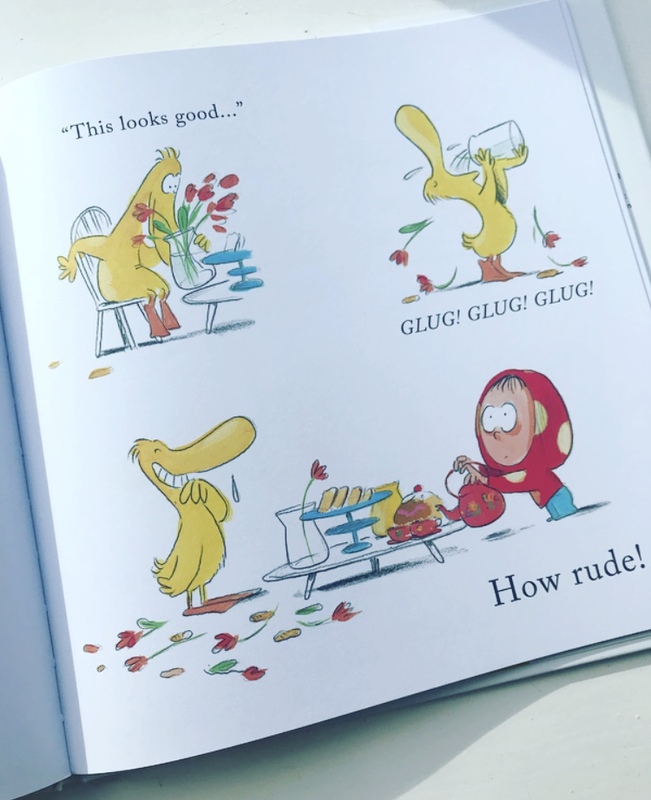 We get requests for books about manners regularly from parents keen to instill this in their children, and there are actually not that many, but here we have How Rude! 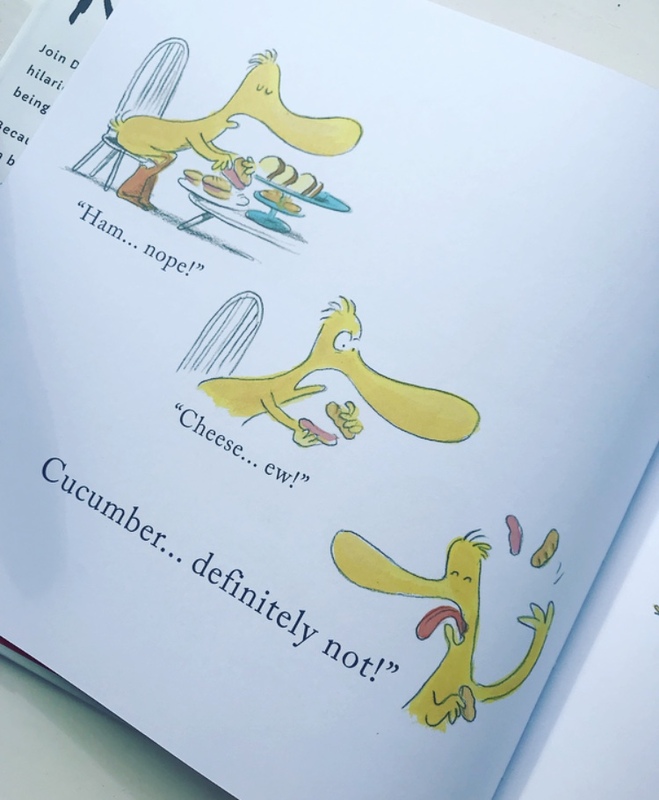 written by Clare Helen Welsh, illustrated by Olivier Tallec and published by Quarto Publishing PLC. Dot has invited Duck over for a tea party, but from his first arrival, Duck seems to have left his good manners behind. He’s snatchy, he’s demanding and he never says please or thank you! As a result, Dot then does a very rude thing in order to teach Duck a lesson. Eventually they both realise that they have upset each other with their rude behaviour and learn to say sorry and change their ways. How Rude! shows brilliantly how empathy can be used to teach children the importance of being polite. It’s not just a case of insisting children say please and thank you and be considerate, but it’s also very important to explain why we do this, how it makes other people feel when we don’t do it, how our actions affect other people. It’s something young children in particular aren’t always capable of, it’s something that often has to be taught. When teaching children manners, this is the kind of book which will do just that. 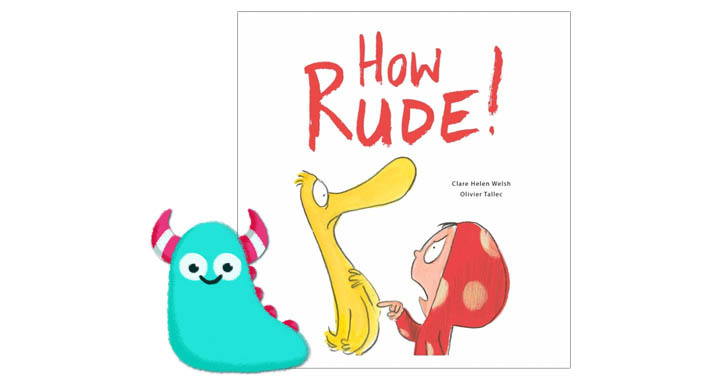 Clare’s writing is lovely and simple, perfect for very young children, and the repetition of the phrase “How rude!” I’m sure will become a firm favourite with young readers. The dialogue is lovely and clear and easy to identify with, with little injections of humour to make children smile. Olivier’s illustrations show how artwork can really tell a story. 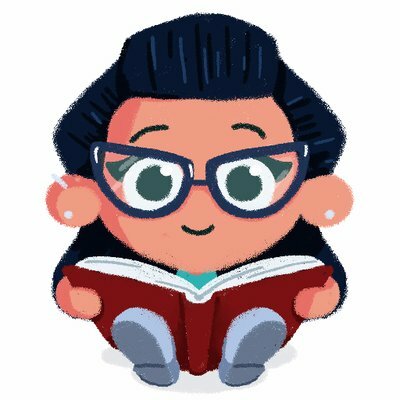 The text has been deliberately left fairly sparse to allow the illustrations to provide much of the narrative here and it works really well. 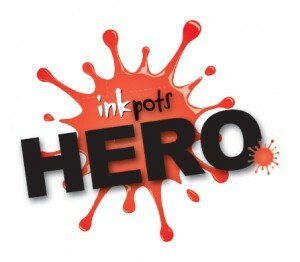 It makes the book so very accessible to all children. It gives plenty of detail and information for children and adults to discuss. What’s happening and why is it a problem? Why do you think Duck’s actions hurt Dot? Why do you think it’s a rude thing to do? Plenty of questions can come from this apparently simple picture book. 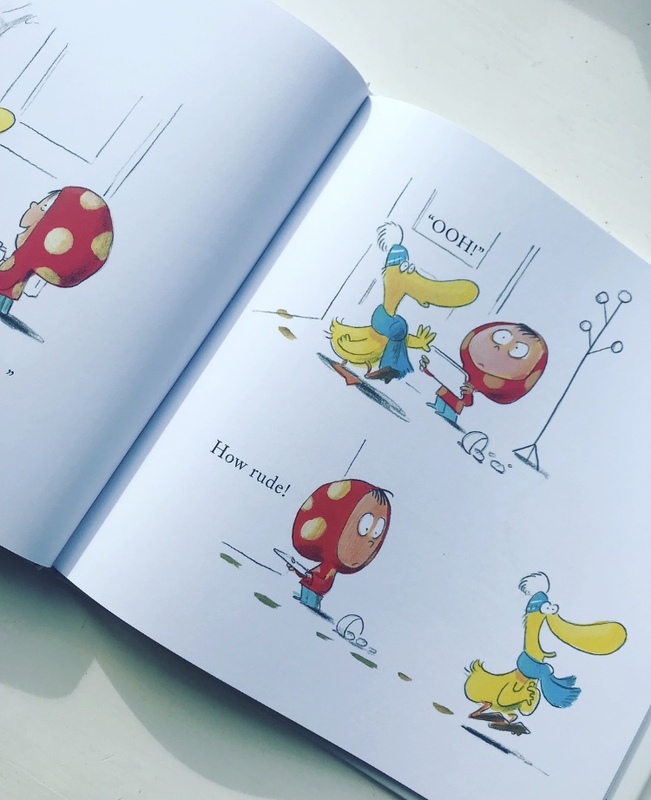 The illustrations here are brightly coloured and packed full of character and expression, with a crisp white background, they’re detailed but not fussy! It’s really such a sweet creation. I cannot begin to impress upon anyone enough the importance of politeness and consideration of others. How much a thank you can bring a smile, how much a considerate action can make someone’s day, how these things can make a person feel good and in turn make yourself feel good. It’s so important that we have books like these to reinforce what parents are, hopefully, teaching their children! 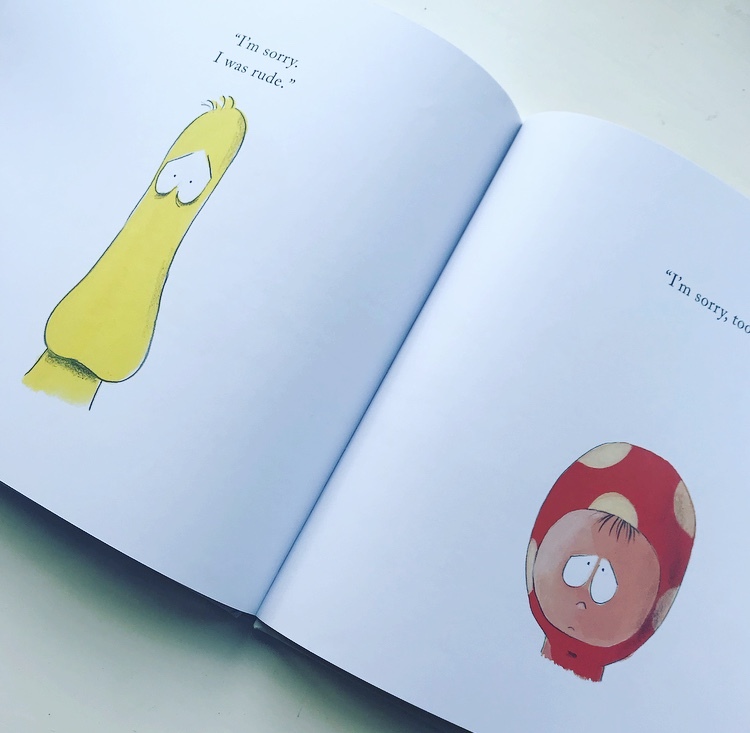 It is something that should be taught from the off and this book introduces children to this idea in a gentle, humorous, friendly and approachable way! How Rude! will be released on October 4th, 2018 and available from all good bookshops and libraries. Thank you to Quarto for sending me a copy of this lovely book, and thank you for reading this polite Book Monster review.